ROSS Management Services, 12,000 unit multifamily residential affiliate of Maryland-based ROSS Companies, announced its selection of Property Solutions® for portals, payments, online leasing, mobile offerings, and ILS services. Industry-leading tools including tablet leasing, online lease generation, and mobile payments bring complete convenience to residents, powered by an agile, all-in-one platform. cost-effective and makes life easier for residents,” said Property Solutions CEO Dave Bateman. 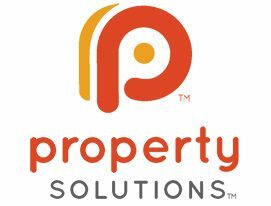 Founded in 2003, Property Solutions is the only comprehensive property management software provider with a single-login, open-access Platform as a Service (PaaS) system. Offering a wide variety of online tools including websites, mobile apps, payments, lease signing, accounting, and resident management, Property Solutions’ Entrata™ PaaS currently serves more than 20,000 apartment communities nationwide, including 28 of the NMHC Top 50 Largest Managers. Property Solutions’ open API and superior selection of third-party integrations offer management companies the freedom to choose the technology and software that best fit their needs. For more information, go to http://www.propertysolutions.com.